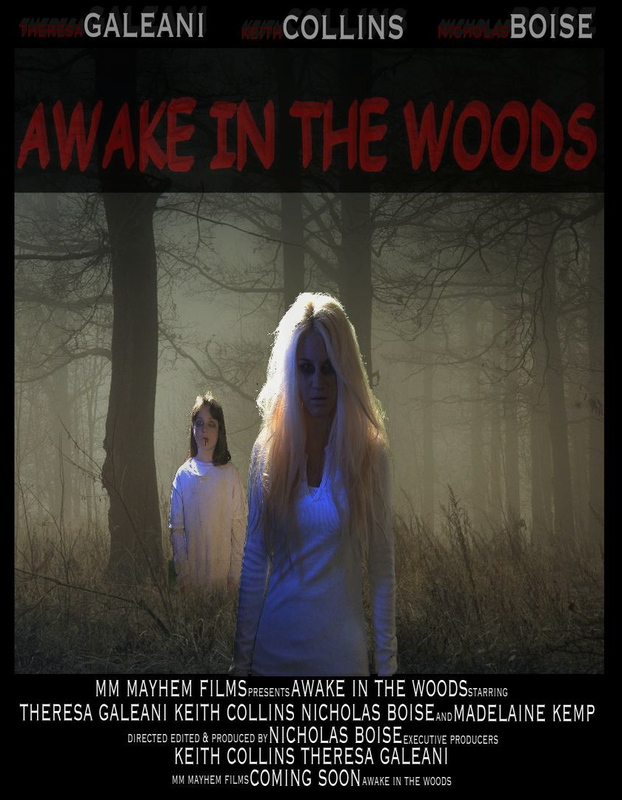 The woods in Marion, NY have been home to the new feature film "Awake in the Woods", a new collaboration starring and from the minds of M.M. Mayhem Films, Award Winning actor Keith Collins (Stuck in the Middle, BIdentity Crisis, Games People Play NY), Award Winning Producer Theresa Galeani (Cross the Line, Violet to Earth) & Award Winning Filmmaker Nicholas Boise (A Fight For Survival). This small farming community has been witnessing things a little out of the ordinary. Blood, body parts, and frozen animals cover much of the filming location and the actors are not shocked by the action happening on set. Locals have been creeped out just by driving by, most fear going near them while some swear by the story and believe the legend of the Marion woods. Reality came into play while making local news when one actor has a real-life paranormal possession while going a little too deep into the cursed woods, camera’s kept rolling documenting the experience before help finally arrived. This movie, even during daylight shoots, has everyone talking about the things that go 'bump' in the daytime as well as at night. 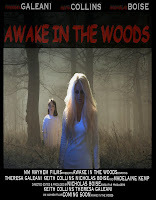 "Awake in the Woods" tells the story of small town friends Ronnie (Galeani), Derek (Collins), and Tucker (Boise) growing up hearing stories of odd happenings, hunter's reporting strange occurrences, Parents warning their children not to go too far into the woods. But when 7 year-old Madelaine (Madelaine Kemp) does not heed her parents warning and goes missing in the woods these three friends search for the truth. Set out to document their findings, what happened to them is unexplainable. Only one of them was left wandering, alone, awake in the woods.